Do you hear that metal-on-metal tapping? That would be the tin-laced reverberation of the final nails being driven into the Lincoln Navigator’s bulbous coffin. Even though Lincoln still produces the antiquated body-on-frame full-sizer, its days of roaming the streets as king of the Ford Motor Company SUVs are coming to an end. Thanks to erratic oil prices and government mandates for increased fuel economy, Ford will instead focus future development on less brutish, more efficient crossover vehicles – the first of which being the Edge-based MKX. Because while times may change, the financial merits of badge engineering don’t. Like the Edge, the MKX has seating for five, plenty of cargo space and a host of technological features such as SYNC and Ford’s real-time navigation system. The interior gets higher-quality trimmings and comfortable leather heated and cooled seats. It’s certainly enough to make you forget about the days of the Navigator, fast. And it’s easier to park, too. Pop the rear hatch on the MKX, and you’ll find a cavernous rear storage area. The seats are especially comfortable, enveloping you without being overly soft, and there’s space enough for five people to fit comfortably. No matter how many times we review it, we’re continually impressed with Ford’s next generation navigation system. For a car starting at $37,845 we were disappointed to not find keyless go as a standard feature. The same can be said about the omission of all-wheel drive from the standard package, made all the more perplexing given that the figure ‘X’ – a typical industry-wide denotation for all-wheel drive – is included in the vehicle’s name. Road noise isn’t a huge issue, but our car did exhibit a strange rear-end whine from 60-75 mph. If you’re a fan of the command-style high seating position, the MKX won’t disappoint – you can see everything from up here. Comfortable power seats with heating and cooling help you make the most out of long drives, while the compliant suspension miraculously manages to keep the ride soft without simultaneously killing all road feel. Body roll – a common gripe in most crossovers – is kept to a minimum as well, and though the steering has good on-center feel, it gets less confident as the level of effort increases. Ergonomically, our only real gripe with the MKX is that its high waistline leads to poor visibility over the driver’s left shoulder. Merge with caution. 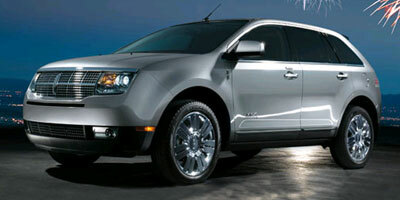 The MKX is powered by a 3.5-liter Duratec V-6 engine that sees use in numerous Ford products. In this guise, it generates 265 horsepower and 250 lb-ft of torque, which is driven to the ground via a six-speed automatic transmission. 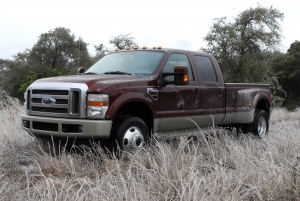 Front-wheel drive comes standard on all models, though all-wheel drive is available as an option. Heated and cooled front seats come standard, but if you live in a colder locale and consistently find yourself with a car full of passengers, they would likely appreciate you springing for heated rear seats as well. In sunnier areas, passengers will be able to enjoy the sky with the optional Panoramic Vista Roof, which really opens up the interior of the car. An attractive aluminum center console wraps around the excellent voice activated navigation system, which is easily the biggest technological highlight of the MKX’s arsenal. Not only does it offer live traffic updates, it also allows users to download music directly to an internal hard drive and stream music wirelessly from Bluetooth devices. And that’s just scratching the surface of the features available. Opting for the nav system brings with it a 14-speaker THX 600-watt audio system, the full power of which will come in handy should you be overcome with the sudden compulsion to blow the windows out of the car. It might be a bit thirsty around town, but the ULEV-rated MKX delivers the kind of fuel economy typical of its competitors. The front-wheel drive model sees 17 mpg city and 24 mpg highway, while in the all-wheel drive version each of those figures drops by two mpg. Inside there are plenty of soft-touch plastics. No, really, there is a lot of the stuff due to the tall doors, but at least it’s of good quality. Two-tone black and beige perforated leather seats provide an attractive juxtaposition against dark interior colors. Aluminum-ringed gauges feel a bit overkill, and may have looked better without the outrageous accents. Overall the shape of the MKX is satisfyingly modern, though we prefer the more angular look of the Ford Edge. The jutting front-grille is a real attention grabber as are the illuminated running lights that cross the rear gate, but from a side-on view the MKX has all the visual character of a sack of potatoes. Pricing for the front-wheel drive MKX begins at $37,845 and increases to $39,695 if you want all-wheel drive. That works out to an unsettling $11k premium over the Ford Edge it’s based on. Competitors include the newly redesigned 2010 Lexus RX 350 (which should tip the scales at roughly $40k), the Infiniti FX ($40,950), Volvo XC60 ($37,200), Kia Borrego ($37,995) and Volkswagen Touareg ($39,300).